Random musings on the latest events in the world of fantasy, horror and sci-fi - on the big and small screen. This is a decent adaptation of half of one of Stephen King’s best books that should lead to a flood of other King movies attempting to emulate its box office success (The Talisman, one of my personal favourites, is now finally on its way to the screen). 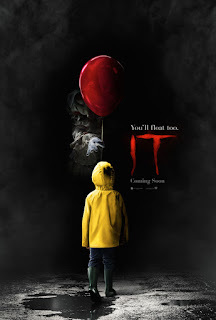 The filmmakers and cast do a great job capturing the characters of the kids, the updated 1980’s setting works like a charm, and Bill Skarsgard makes a fantastic Pennywise. If I hadn’t read the book, I would probably have very little negative to say about it. But since I have, there are a few problems that not even being only half the story can excuse. First of all, almost all of the mythology from the book has been left out, in favour of a more simple scary clown tale. 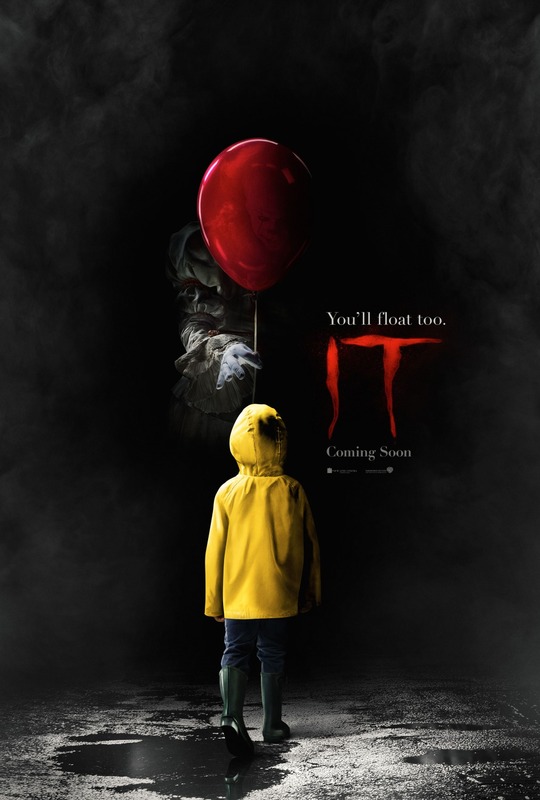 There are a few scenes that explain Pennywise’s centuries old haunting of the town of Derry, but nothing to really suggest he is anything more than a shape-changing monster (no Turtle, either). Hopefully some of this will be addressed in the grownups sequel, but it’s disappointing for anyone who liked the mythology of It as much as the scary aspect. Secondly, while the kids mostly feel true to their book counterparts, there are a few changes that make two of them in particular less satisfying. Mike Hanlon, the only black kid in the group, loses most of his role from the book as a researcher of the history of Derry, making him seem almost like an afterthought until he joins the Losers halfway through the movie. And Beverly Marsh (fantastically played by Sophia Lillis) is unfortunately treated as a damsel in distress for the conclusion, something she never was in the book. Aside from this, It really is a very well made slice of scary nostalgia, and I’m hopeful the sequel will fix some of these flaws. 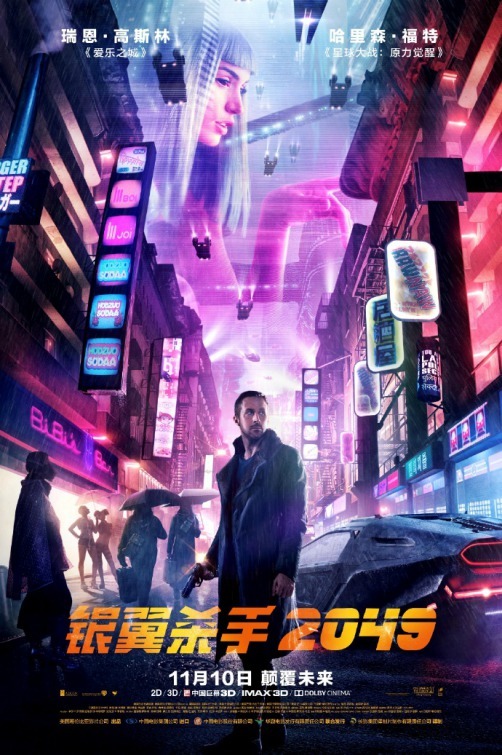 This is right up there with Tron Legacy as a sequel I never imagined happening and while it’s more satisfying than that long-awaited follow-up, there are a few elements that make it not quite the great sequel it could have been. First of all, the good. Ryan Gosling as “K” makes a fine replicant Blade Runner (they reveal his artificial status surprisingly early, so that’s not a spoiler) and is ably supported by a cast that includes Robin Wright as his surly boss, Ana de Armas as K’s holographic girlfriend and Sylvia Hoeks as the very creepy replicant Luv. There’s also a nice bit of misdirection with the casting of Mackenzie Davis who is a dead ringer for Daryl Hannah, but definitely isn’t playing Pris from the original film. Oh, and that Harrison Ford guy comes back as Rick Deckard for a very welcome extended cameo. Visually, the film is amazing. The score by Hans Zimmer, while not quite matching Vangelis, is very effective. And most importantly in this age of spectacle over ideas, the film is full of fascinating sci-fi questions and is not afraid to leave some of them unanswered. If you really wanted the sequel to resolve whether Deckard is a replicant . . . well, get used to thirty more years of debate. Unfortunately, at almost three hours, there are more than a few scenes in the movie that wear out their welcome. Despite some very good writing throughout, there are no scenes as immediately memorable as “tears in rain” or any other classic moments from the original. Also, the film has some troubling depictions of the female replicants and the violence inflicted on them (an unpleasant aspect of the original as well, to be fair). But still, to get a sequel 35 years later that’s even half as thought-provoking and groundbreaking as the original is quite an achievement. I had problems with director Denis Villeneuve’s last film Arrival, too, but there’s no denying his movies are visually stunning and full of interesting concepts. And that’s something to be grateful for. A.S. McDermott was born in England but now lives in South Carolina. He has wanted to be a writer ever since he started reading Stephen King books at a young age (which totally didn't warp him in any way). He has had several short stories published and has also written many screenplays, including one that was produced as a short horror film that nobody saw but was pretty good for a $5 budget. He wants to be remembered for writing weird stuff that no one else would think of. You'll believe a CG elephant can fly!